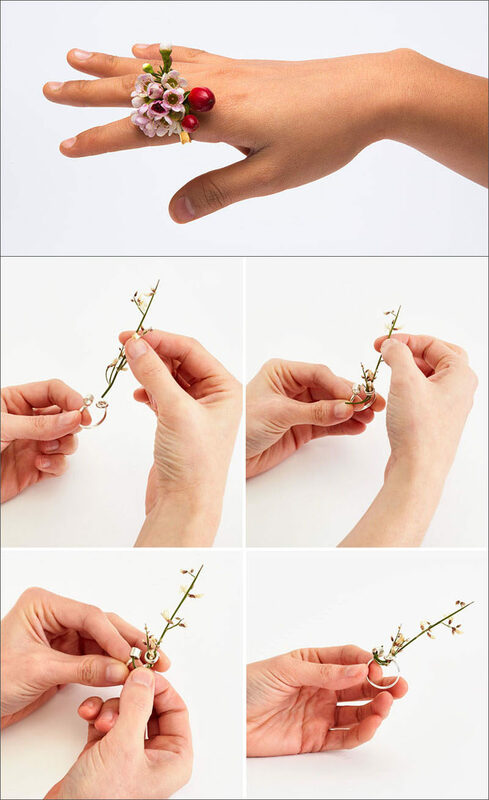 Ikebana is the Japanese art of thoughtfully arranging flowers with a focus on fostering closeness with nature. 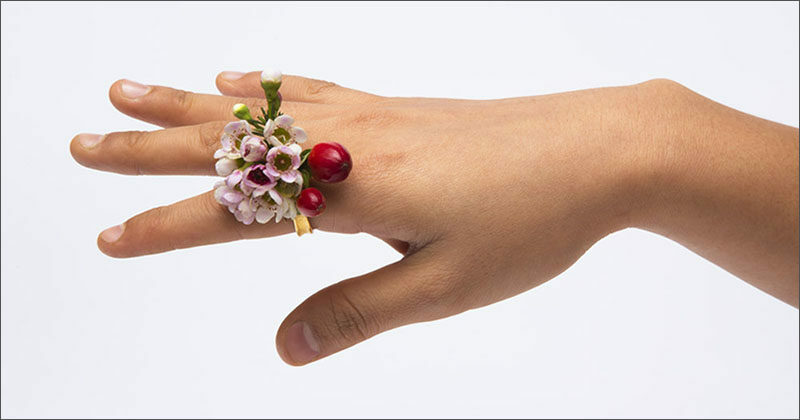 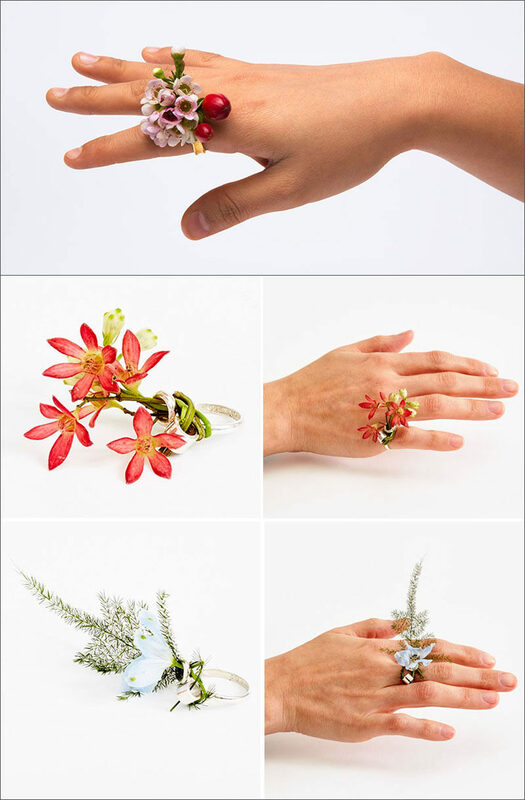 It was also the inspiration for the Ikebana Ring, designed by Gahee Kang. 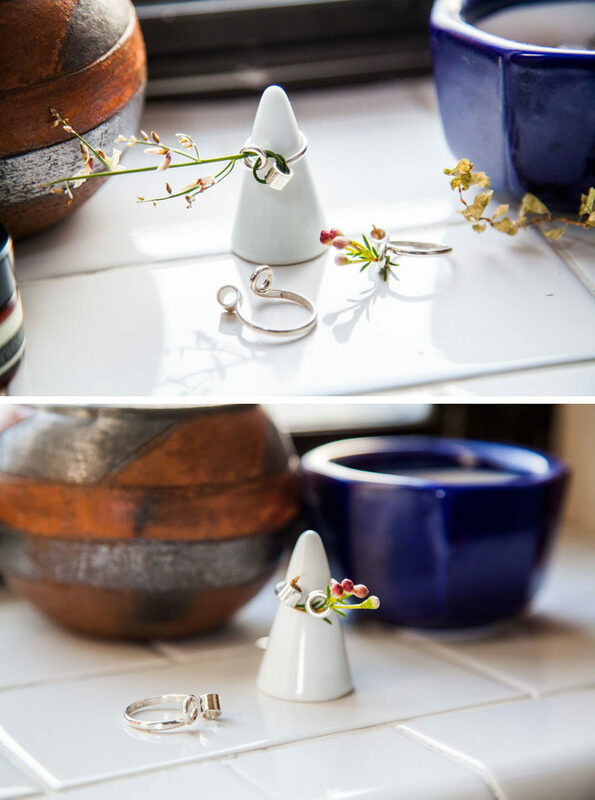 Two circular openings at the front of the sterling silver ring create a spot for the wearer to insert a flower, wind it around, and create their own floral arrangement right on their finger. 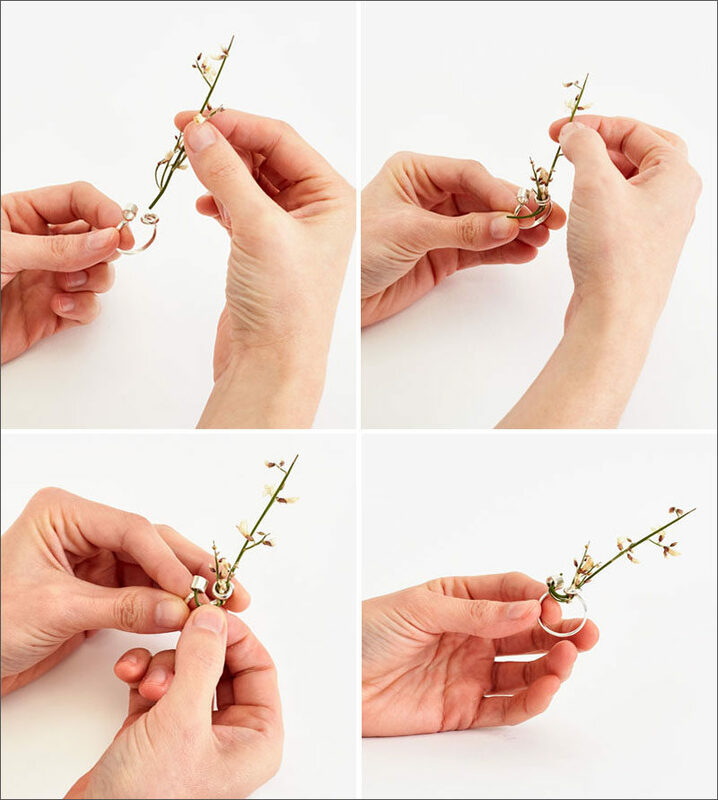 The size of the holes make it easy to twist the stem of the flower in and out through the holes multiple times, making sure that the flower doesn’t accidentally slip out. 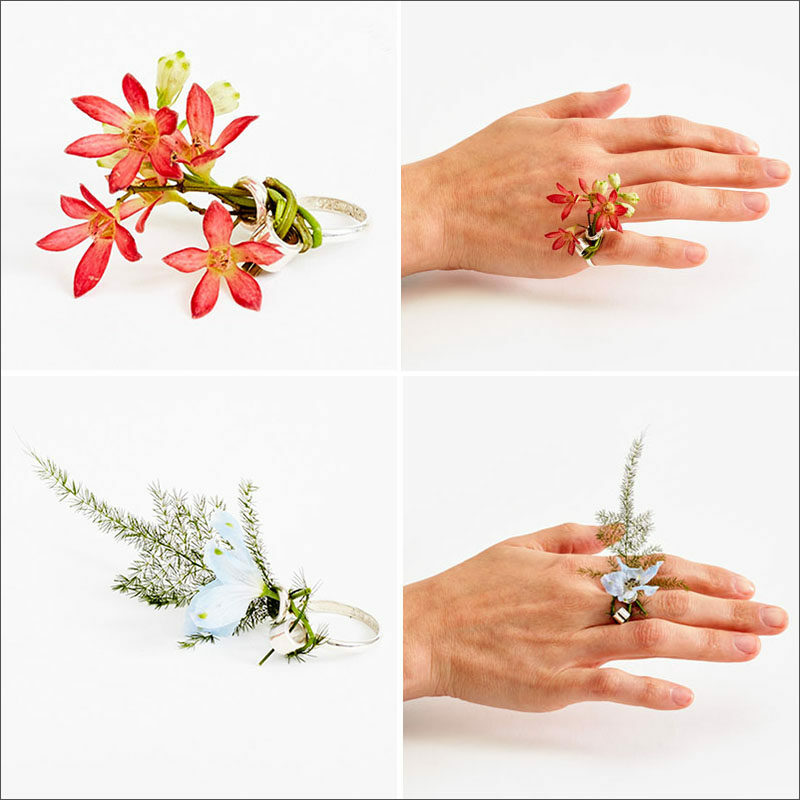 Whether you use a single flower, a few flowers, or even a long stock of grass, this ring will ensure that you’re wearing an accessory that no one else will have.